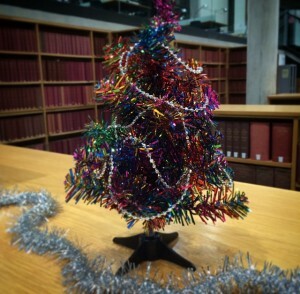 From Monday 5th December, the library will revert to vacation hours: Monday-Friday, 9am-7pm (closed Saturday). We will close for Christmas at 5pm on Thursday 22nd December and will reopen for the New Year on Tuesday 3rd January. For those readers with borrowing rights, please note that any books checked out from Wednesday 21st December will be due back on 3rd January. We’d like to wish all our readers a very happy Christmas and New Year! In Week 7 we are running the following iSkills courses. Please click on the course title to book your place. RefWorks is an online tool which allows you to manage your references, insert them into your work, automatically generate bibliographies and easily switch between citation styles. This introduction is open to all but the section on importing references will focus on Science/Social Science examples. Who is this session for? All University members and alumni. In Week 6 we are running the following iSkills courses. Please click on the course title to book your place. A workshop outlining some of the key principles to bear in mind when working with sensitive or restricted research data obtained from a third party source such as a data archive. This session will also be of interest to those creating data they consider sensitive or confidential who want to know how best to go about it. Examples of scenarios drawn from the research of participants are particularly welcome. The role of support services at Oxford will also be outlined and in particular the role of the Bodleian Data Librarian. Subjects to be covered include: creating original data; using Informed consent agreements; maximising usage potential of data; types of data – numbers text and beyond; strategies to protect data; embargoes, vetting and restrictions; accessing archived data; understanding access conditions; importance of metadata; trends in data access – greater detail v harder access. 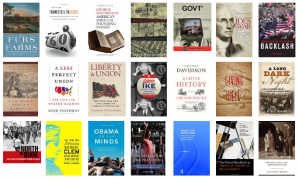 A selection of the new books received in the library during October may now be seen on our website and LibraryThing page. In Week 5 we are running the following iSkills courses. Please click on the course title to book your place. Presenter: Helen Bond and Helen Worrell.